NASHVILLE — Gov. Bill Haslam said Monday he has no intention of changing his administration's stance on barring handgun-carry permit holders from bringing their weapons into Tennessee's state Capitol despite lawmakers' decision to let them carry in their new home in the Cordell Hull Building. "It's not something that we'll propose at all," the Republican governor told reporters Monday. "It [Cordell Hull] is their building. They have full control of it and they get to decide to do that." "Again, our point would be that the Capitol would remain as it has in the past," the governor said. 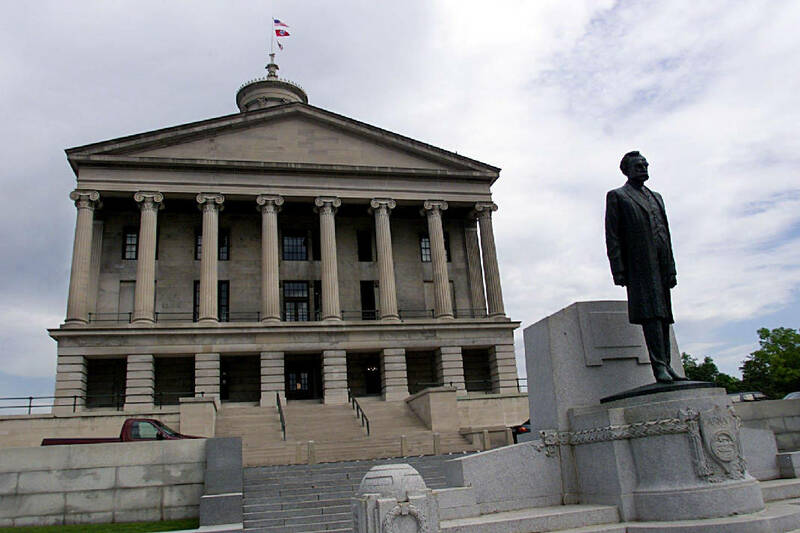 Senate Speaker Randy McNally and House Speaker Beth Harwell, both Republicans, announced last week they would allow permit holders to carry firearms in Cordell Hull. Haslam issued a statement the same day saying firearms would remain off limits in the Capitol, and his remarks Monday show he has no intention of backing off that. Two years ago, the governor and state Safety and Homeland Security officials resisted lawmakers' attempt to allow guns into Legislative Plaza, which lawmakers and staffers are vacating this week and next to take up residence in the just-renovated Cordell Hull Building. One of the executive branch's arguments in 2015 involved the physical limitations of using Legislative Plaza for a proper security checkpoint to the Capitol without causing a huge bottleneck. Lawmakers would have had to change state law to wrest control of operations from the executive branch. But that's not the case at their new Cordell Hull home. "So they obviously were interested in doing that before," the governor noted. "It's a little easier now to do that with their own separate building." Cordell Hull is also connected to the Capitol via a new underground tunnel, but there isn't the same Legislative Plaza issue of an escalator bringing people up to a tiny security checkpoint next to a street entrance to the Legislative Plaza/Capitol tunnel. Asked why he is opposed to guns in the Capitol, the governor said, "I think in the Capitol you literally have lots of tour groups, school children. [E]verybody is coming through there. But everybody's coming through a metal director. I don't see the need to change the policy that we have in place." The Legislative Plaza also has numerous visitors, including children. As to whether it will cause confusion for permit holders allowed into Cordell Hull with weapons to be denied entry with their sidearms into the Capitol, Haslam said, "I know our safety folks are working on that now. How does that look like when you leave Cordell Hull and come here? "I'm certain they'll come up with a way to practically handle that," the governor added.